Interfolio's Dossier allows you to easily request and manage confidential letters of recommendation. 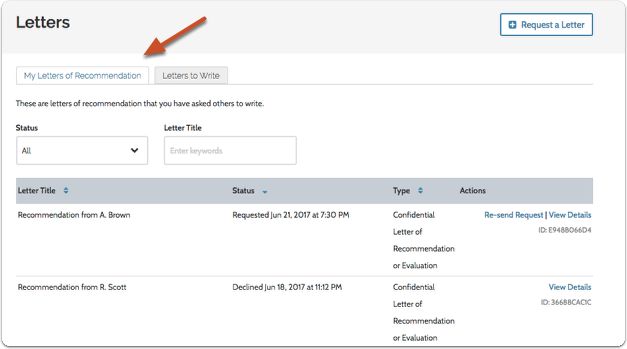 From the "Letters" section of your Dossier account, you can view details of your requests, resend requests, and keep organized the letters of recommendation you have asked others to write, as well as letters of recommendation other Interfolio users have requested from you. 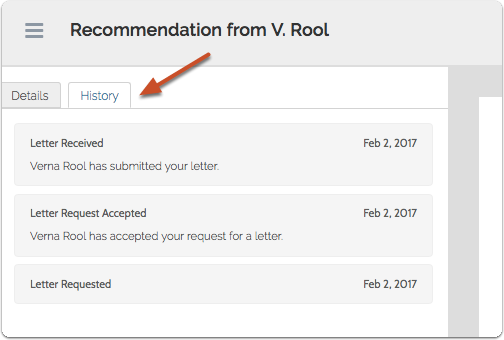 On the "Letters" page, a list of the letters you have requested will appear on the tab labeled "My Letters of Recommendation." 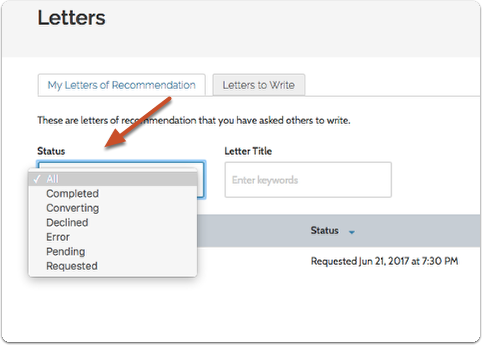 You can filter the list of letters by status, or search the list using keywords from the letter title. Completed: Your letter writer has successfully uploaded the requested letter, and the letter is available in your Dossier. Converting: The requested letter has been uploaded and is being converted to a PDF file in our system. When conversion is finished, the letter will be available in your Dossier. Declined: The request to write a letter has been declined by the letter writer. Pending: The letter request has been accepted, but the letter writer has not yet uploaded the letter of recommendation. Requested: The letter has been requested, but the letter writer has not yet accepted or declined the invitation to write the recommendation. 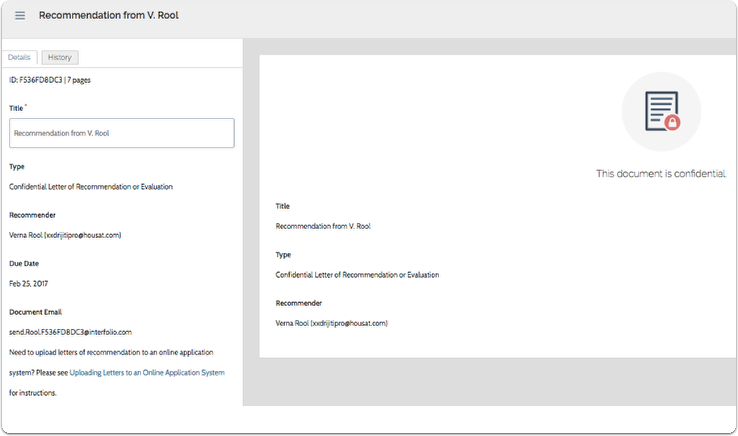 You can see information about the request including the title, type, recommender, due date, and the document email address you would use to upload the letter to an online application system. If the letter is not confidential, and has already been uploaded, you can see the document in the reader. The text of confidential letters will not appear in the reader. If your letter has been gone through Quality Check team, this page will display additional information. Going over a number of details, more info is available here. The history tab displays information about the request and the document once it is uploaded. 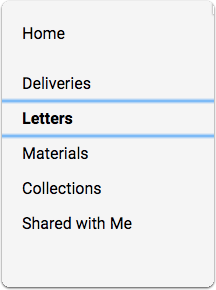 To resend a letter request, click "Re-send Request," under the "Actions" column to the right of the page, as shown below.